After seeing Schwarzenegger on the silver screen, 7-year-old Ric decided he wanted to get ripped! A lifelong passion for health, fitness, and competition was born. How I got started is probably the typical story on how most kids in the 80's got interested in bodybuilding, Arnold Schwarzenegger. After I watched Red Sonja, I wanted to start hitting the gym. Though I was 7 at the time, I convinced my dad to get me a pair of dumbbells and a magazine subscription to FLEX. Once I became of legal age to join the local gym at 14 (my dad told them I was 14 but I was actually 13. Sshh, don't tell anyone) I started to follow some of the workouts that I had read in magazines. At that time the FLEX workout by Shawn Ray was on ESPN and I would watch that religiously. I have been doing the FST-7 plans by Hany Rambod. That took my physique to a whole other level. I was able to get massive gains with that protocol. I eat clean throughout the year aside from a weekly cheat day off season. I eat around 3-5k calories a day with lean proteins and an ample amount of carbs. EVP! By far this has been my favorite supplement that I have ever tried. What isn't there to love about it? I love having a bad day and just leaving it all at the gym. I love the fact that it's a sport as physically demanding as it is mentally demanding. There is a reason why the majority of people give up the first few weeks of going to the gym or compete once then you never see them again. I always get asked, "Why do you do it." and my answer to those people is, "If you even have to ask that question, you wouldn't even understand." Hany Rambod! I've been working with Hany for the last 3 years. He definitely keeps me on track. He is an awesome coach and someone I hate to disappoint. And also, results. Seeing results and consistently wanting to improve from how I looked yesterday to how I want to look tomorrow. Also, Pete Ciccone and IFBB Pro Derik Farnsworth. I have the honor to train with these two and there will never be a set left incomplete with these guys. I always get a little burst of motivation with Derik yelling in my ear "You got this!" or a few obscenities and choice words to push me to the 110% level. Or, Pete there spotting me on my 9th rep of 415 deep squats pushing me to get those extra last 3 reps in knowing that each rep counts. 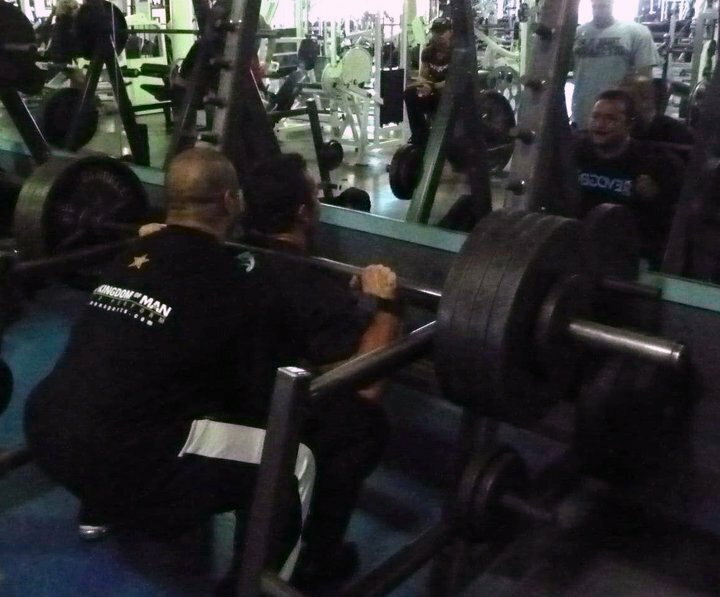 Having the perfect training partners creates the perfect synergy that we all feed off of. I always want to be the best at whatever I put my mind into doing and If I don't end up being the best, I want to always say I gave it everything I had. There should never be any excuses. When I walk on stage I know that nobody trains harder than me. 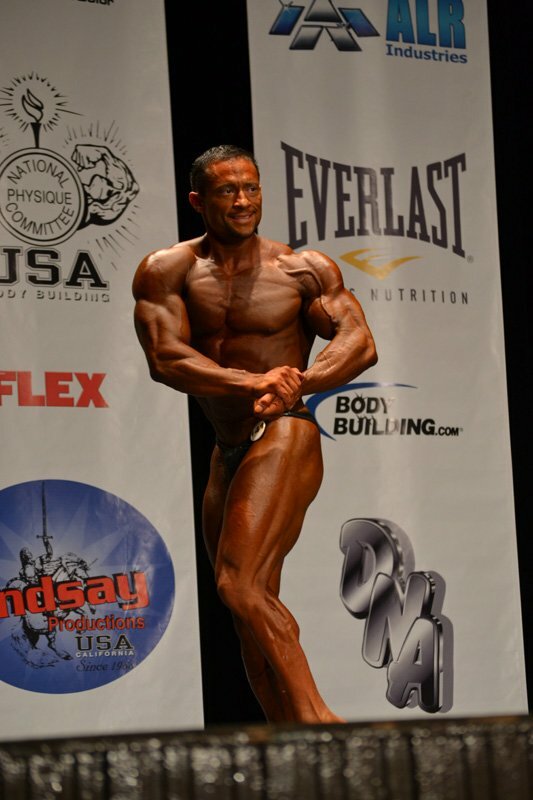 What propels that motivation to another level is the feeling of getting my hand raised after winning my last show. Each workout now has to be harder and tougher then the last workout or else there can be no improvement. This sport is one of the few individual sports out there where the responsibility rests completely on your shoulders. Simply put, "Fail to prepare, prepare to fail." 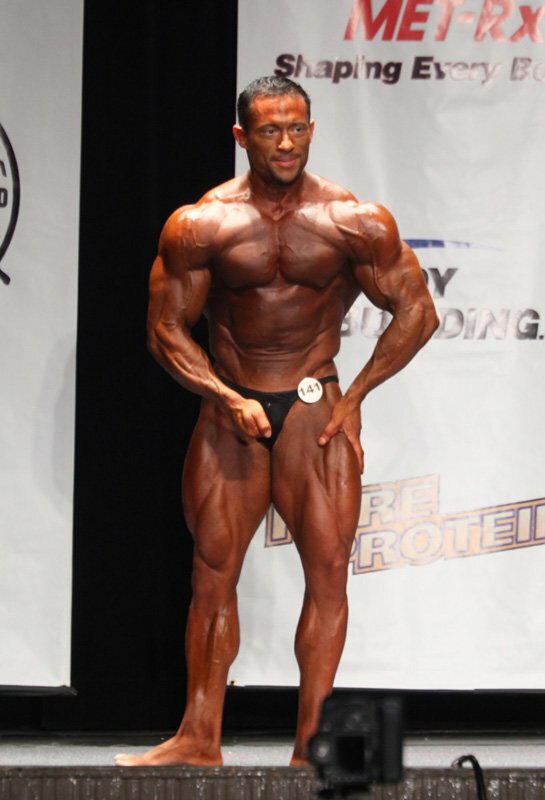 I won the overall at the Orange County Muscle Contest in April '11. 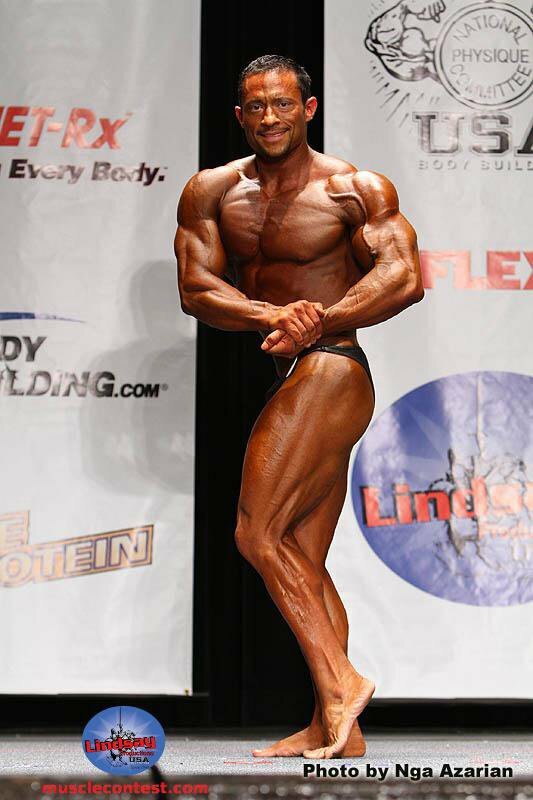 I am currently setting my goal to walk on the stage at the USAs soon! Never give up and don't let anyone or anything discourage you from reaching your goals. If you want to be the next Mr. O or Mr. USA or Mr. AnyTownUSA, then put everything you have into it and even if you don't achieve that, know in your heart that you gave it everything you had! In my first shows, I've been all over in the placements. 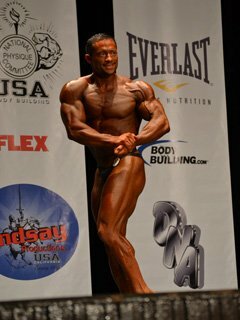 In my first show I came in with the mindset that I was going to take 1st place but I had a quick reality check once I wasn't handed a trophy. I had to really do some soul searching and came to the conclusion that I just wasn't ready to place in the top 5 of a regional show. I took 2 years off and hit the gym hard for 2 years. I came back and took 3rd at the Los Angeles show. Throughout the following year, I put on enough size to bump me from middle weight to light heavy. I then walked on stage and took 7th. That was another let down. So I took the next 2 years off from competing again, started to work with Hany Rambod, came back in and took the Overall at the OC. I took every failure and non-placing the last two years and turned that into motivation. I cannot imagine if I just gave up. I would have regretted it for the rest of my life. 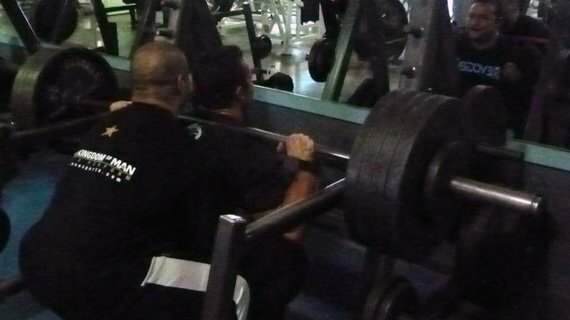 I have had the privilege and honor to train with Nationally Ranked Pete Ciccone and IFBB Pro Derik Farnsworth. Also Steve Kuclo, Phil Heath, Shawn Ray, and Brenda Beitia. The Store! 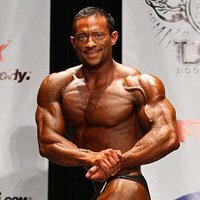 I always shop for products on Bodybuilding.com. I always read the articles and comments by other users.